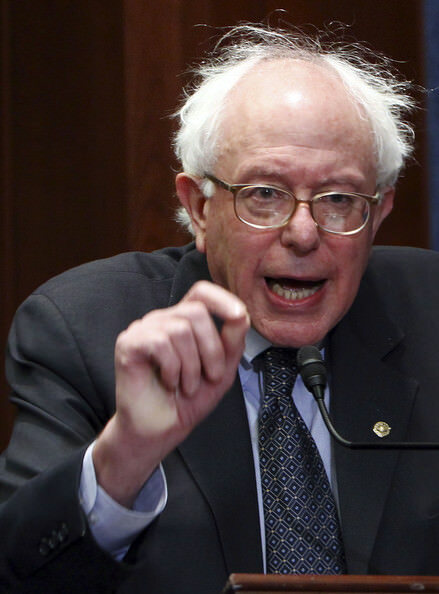 Vermont’s Own Lovable Wackjob Marxist Senator Comrade Bernie Sanders! The Noisy Room : Sen. Bernie Sanders (I-Vt.) is planning to offer an amendment to the GOP budget next week that would impose a new tax on millionaires to finance U.S. military operations. The “war tax” will be one of the first Sanders will introduce during the vote-a-rama next week. During the back-to-back votes, senators are allowed to submit an unlimited amount of amendments. “The Republicans took us into protracted wars in Afghanistan and Iraq — and ran up our national debt by trillions because they chose not to pay for those wars. Instead, they put the cost of those wars on our national credit card,” Sanders said in a statement Friday. Like Obama had nothing to with that particular tab. His memory is selective and full of holes. Spoken like a true and committed Marxist… Sanders never wavers as a very died in the red weasel. Russian Ambassador To Denmark, Mr. Warmth, Mikhail Vanin! The Independent Sentinel :I was going to nominate the Ayatollah as a weasel for saying, “Of course Death to America, in response to his audience chanting “Death to America” while he insulted America. However, that’s too easy so I picked Mikhail Vanin who threatened to bomb Denmark’s warships. In an interview in the newspaper Jyllands-Posten, the Russian ambassador to Denmark, Mikhail Vanin, said he did not think Danes fully understood the consequences of joining the program. “If that happens, Danish warships will be targets for Russian nuclear missiles,” Vanin told the newspaper. “Denmark will become a part of the threat against Russia. It will be less peaceful, and relations with Russia will be damaged,” Vanin said, adding that Russia has missiles which would be able to penetrate the future missile shield. I think what the Danes should do is move their warships to Brighton Beach! White House Chief Of Staff And Israel Basher Denis McDonough! JoshuaPundit : Well, yah gets yer orders and yah follows ’em, but even cops and football players say ‘no’ sometimes. But not at the Obama White House, nossir! McDonough’s orders were to front for the president and amplify his childish tantrum after all those millions of dollars and ACORN-style campaigning complete with Chicago-style vote buying by his favorite operatives wasn’t enough to defeat Benyamin Netanyahu in the Israeli elections. Obama and his friends even tried to pull the race card on Bibi because he had the temerity to tell the Israeli public what was going on, that Arab voters known to belong to factions hostile to Israel ( the Parties on the so-called Arab List) were being bussed in to vote Labor for lunch and a hundred shekels funded by foreign sources. And to be realistic about saying that there was no possibility now of a two-state solution with Abbas’s rejectionism and Fatah’s alliance with Hamas in the mix. So what was McDonough’s assignment? To be President Obama’s surrogate at the far left group J-Street’s national conference and bash Israel as part of Obama’s amen chorus, McDonough followed through like a real champ, denouncing Netanyahu, what he called ‘Israel’s 50-year occupation’ and pimped for that mythical two state solution along the indefensible pre-67 lines, including dividing Jerusalem. And he also did a fair amount of pimping for the president’s non-existent, non-binding super dooper Iran Nukes deal and of course spent some time bashing Republicans. It all got a big standing O from the Jay Streeters, After all, why wouldn’t they? The group was formed and funded by Obama and George Soros to provide cover for the Regime’s anti-Israel stance. I really don’t mind folks like McDonough or even our president spouting this bilge. What annoys me most is when they try to insist they’re ‘pro-Israel’ and that ‘they’re only interested in Israel ‘s security,’ that making a nukes deal with people like the Iranians is anything but appeasement and an invitation to another Holocaust. That’s where the weaselness comes in, the outright lies and pretending.Anyone with any common sense knows that they know they’re lying. McDonough wasn’t alone, but he did his bit for the Regime this week, and I think he ought to be commended for it.